Only ten years passed between the first of Sam Raimi’s Spider-Man trilogy and the character’s relaunch in The Amazing Spider-Man; five years later, here we are again, with the character back again and now part of the Marvel Cinematic Universe (the reason for the prompt turnaround this time). Spider-Man: Homecoming, directed by Jon Watts, and starring Tom Holland as Peter Parker. Michael Keaton plays the villain, Vulture, and Robert Downey, Jr. is on hand as Iron Man, playing the character for the 750th time, a new Hollywood record. Danny Elfman and James Horner’s themes for the character may just be the finest two comic book themes to come out of Hollywood since the turn of the century (and Christopher Young wrote an excellent score for Raimi’s third one – and Hans Zimmer’s very different take on the character also had its merits) so there was a lot for Michael Giacchino to live up to – but he’s obviously unafraid of stepping into big musical shoes, having done it improbably frequently during his career to date. Was he up to the task? Well, of course he was – he’s been on top form for a while now and last year’s Doctor Strange was probably the best Marvel Cinematic Universe score to date. The score starts with a modern take on the classic 1960s tv theme by Paul Francis Webster and Bob Harris, which plays over the opening logos; it’s great fun, but the theme isn’t heard again (not surprisingly). What is slightly surprising is that the first melody heard in the next cue, “The World Is Changing”, is also not by Giacchino – there’s the briefest, subtlest burst of Alan Silvestri’s The Avengers theme to set things off. Giacchino takes it as a springboard and then finally gets to launch into some original material, some dramatic thrust leading up to the first statement of Vulture’s theme, quite muted in its initial appearance but it goes dark in the cue’s closing stages. Spider-Man’s theme is then introduced in the third cue (“Academic Decommitment”) and it’s really good, really catchy – it’s very sprightly and energetic, dancing up and down the scale with a bit of a hip jazz flavour to this initial version. It’s one of those themes that just sticks with you – I’ve found myself humming it over in my head so often since I first heard it. It’s not quite in the next cue, “High-Tech Heist”, but the feeling is still there. “On a Ned-to-Know Basis” opens with a contrast between some dark textures and then the emergence of the main theme for pizzicato strings, which gives it what I can only describe as a perfectly arachnid feeling, crawling about quickly. “Drag Racing / An Old Van Rundown” starts off a bit like the distinctive “Playing Basketball” from James Horner’s Spidey score but it soon goes off into trademark Giacchino action music, powerful statements of brass alternating with the main theme and it all builds up to a huge statement of Vulture’s theme. A more urgent version of Spidey’s theme opens up “Webbed Surveillance”, complete with what is I assume an intentional homage to Danny Elfman in the fast-paced brass figures. As the piece develops, Vulture’s theme starts poking through as well – it’s nice how Giacchino plays the two themes off against each other. There’s some more action material which is typical of the composer, reminding me of his Star Trek scores in particular, and in fact the villain theme here sounds not dissimilar to that in the 2009 Star Trek. After a nice, gentle version of Spidey’s theme in “No Vault of his Own”, we are briefly introduced to what sounds like a love theme but it’s gone almost as quickly as it arrives; then it’s back to action in “Monumental Meltdown”, which includes a terrific action motif that might be from one of the Medal of Honour scores (but, to clarify, isn’t). It’s some of the strongest action music the composer’s written for a while – and it gets much better still before the score’s out. There’s another burst of that love theme just before the end of the cue – but it’s very brief again, barely twenty seconds this time. “The Baby Monitor Protocol” dances around the main theme without every quite getting to directly state it, then comes the two-part “A Boatload of Trouble”, which doesn’t quite fully let rip in its first half, playing more like caper music than heavy-duty action (and none the worse for that). The second part however does really crank things up and includes a particularly sinister take on Vulture’s theme. That it sounds a bit comical may sound like I’m being insulting, but given this is a comic-book movie that is clearly not the case, and I’m actually really pleased Giacchino has managed to show with this OTT villain theme that you really can score movies in this way in 2017 and it doesn’t all have to be dull textures and drumming. The action does not let up as we move into “Ferry Dust Up”, bold and brassy and exciting. “Stark Raving Mad” has a surprisingly romantic quality to it, complete with gentle guitar strumming backing a lovely violin solo, but there’s none of that in “Pop Vulture”, which has a sinister, doom-laden opening that never quite really leads to anything (it’s a rare duller moment on an album packed with quality). Don’t worry though because we’re back on track in some style in “Bussed a Move”, a tremendous piece of action writing which features the single most heroic appearance of the main theme in the whole score. From then on, the action rarely lets up – “Lift Off” is breathlessly exciting, with strident appearances from both the hero and villain themes, and then comes what is sure to become a real fan favourite, “Fly-By-Night Operation”, which is a brassy delight featuring no shortage of action thrills. With a pair of strong, memorable themes sent through numerous variations and plenty of thrills besides, Spider-Man: Homecoming is a very accomplished and very entertaining score, clearly one of the better Marvel ones. It doesn’t quite have the panache of the Elfman scores (but to be honest comes pretty close) and doesn’t quite have the emotional quality of the Horner one – but the way Giacchino straddles both worlds is impressive. And really – you’ll be humming that main theme for weeks. 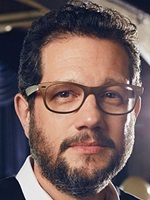 Michael Giacchino seems to be at the top of the A-list at the moment – the number of big blockbusters he’s doing leaves little doubt, really – and it’s good to see him there. He’s spun another really good one here. I haven’t heard the album yet but I have just seen the movie an I must say the score is brilliant in it! The main theme is catchy, the action writing is fun, I absolutely enjoyed it – and the movie too. Giacchino really nailed this one. Giacchino’s song name puns are one of my favorite things about his scores. Just brilliant. Fantastic movie and great score. I was underwhelmed by the main theme in the suite, but after seeing the movie, it’s a major earworm, and the pizzicato bits are perfection. Vulture’s theme is unmemorable, and it hit me halfway through the movie that its second line is almost note-for-note from the villain theme from JOHN CARTER. One thing I haven’t seen addressed in any score reviews yet is the apparent presence of a new Iron Man theme (yes, another!) in this soundtrack. I heard it at least twice in the theater, and I think I’ve tracked it down in “Ferry Dust-Up” (1:50) and “A Stark Contrast” (around 0:40 for about a solid minute) on the album. It’s a bold, exceedingly tuneful melody that I wish we could hear again someday, but I have no idea in what context that might ever occur. (Maybe when he inevitably scores AVENGERS 4?) No matter what, it’s a great bit of Giacchinoverachieving that I wanted to make sure someone noticed. Yeah, I noticed Giacchino’s Iron Man theme here too. It’s a fun theme, but to be honest I would prefer if he had used Brian Tyler’s wonderful Iron Man March from the third IM movie. And there’s also a theme for Liz, Parker’s crush on high school, heard here at 1:51 in No Vault of His Own, and then later on the suite. 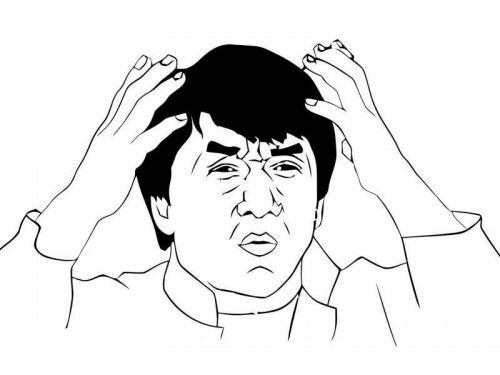 As for Avengers, Alan Silvestri has been hired to score both Avengers 3 and 4 a while ago. Since he scored the first Avengers movie, it’s an adequate choice. This has to be the most imbecilic movie I`ve seen this year. And GIACCHINO`S score failed to endear me to any of the boring characters. Earlier I`d seen THE PROMISE with Lebanese Composer, GABRIEL YARED`S music underscoring the horrors of genocide–this time round the Christian Armenians being mercilessly slaughtered by the Muslim Turks. YARED`S music, written for a symphony orchestra ( with ethnic instruments ) and choir is very accessible, compared to the highly complex scores he usually creates, and encompasses Middle-Eastern source music, love themes, religious choirs and unsettling accompaniments for ethnic and religious conflicts. The film is brutal and emotionally draining as we experience the evil that is endemic in our species. I’m just leaving a comment to say I loved your review of James Horner’s Amazing Spider-Man score. It felt like you totally got it, despite the movie being bashed left, right and centre (which ultimately left the score in an underappreciated state). After seeing the new one, the first thing I did was search for your review on its score, and I’m glad to have found you’ve written one. It’s interesting that the dullest cue in the score (Pop Vulture) underscores the best scene in the movie.